The Center for Effective Philanthropy has welcomed leaders from across the philanthropic sector over the past few years to speak with our staff. The result has been a conversation—sometimes provocative, always probing—about the state of the sector from different perspectives. 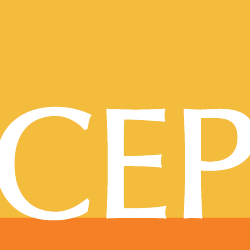 Some recent guests proved especially engaging to members of the CEP staff, and we invited those interested to submit brief posts about what they heard and what they took away from these lunch-time talks. The two speakers who are the subjects of the following posts (posted after this one, just scroll down) give a sense of the variety of the series. Beth Smith is a long-time leader of a private foundation in Boston—the Hyams Foundation has been an important funder in Boston since the 1920s. She has been a leader in the sector and a partner in a host of key collaborative nonprofit initiatives. Earlier we hosted Allen Grossman, a professor at the Harvard Business School, appointed with a concurrent appointment at Harvard’s Graduate School of Education. He established himself earlier as a leader in the nonprofit world as a transformative CEO of Outward Bound. His current research is focused on high-performing nonprofits. To report on the conversation these two seasoned leaders generated are two research analysts, An Li Herring and Elizabeth Kelley. Just 1.5 percent of grant money in the United States went toward programs to promote civil rights and social action in 2009, according to the Foundation Center’s most recent data. Beth Smith, executive director at the Hyams Foundation, which includes social justice in its mission, recently talked as part of the guest speaker series at CEP about racial, ethnic and gender representation at foundations in the United States and the implications for racial imbalance in the sector. Smith cited the vast and growing wealth disparity between black and white households in the US to make the point that race remains a topic of undeniable importance in this country—a point that the persisting racial gaps in student achievement also makes. Evidence of racial disparities with respect to a host of economic and social outcomes reveals that the US has not entered a post-racial period, and the very small proportion of funding going to social justice programs serves as no indication that other issues have eclipsed race in importance. Drawing particular attention to the issue of racial representation among program officers, CEOs and board members at foundations in the U.S., Smith highlighted the disproportionate representation of whites at all levels except for that of program officers. As Smith commented at CEP, racial diversity is not just a numbers thing: foundations will come closer to achieving true social justice by addressing power imbalances that may exist due to the racial identities of individuals within their own organizations. These imbalances, on interpersonal and organizational levels, are often subtle. In Beyond Compliance, CEP shares a relevant finding: racial minorities serving on boards with fewer than three other non-white members were less likely to feel that they can influence the board than did minorities serving on boards with three or more other minority members. From my own perspective, it seems that foundations can actively promote social justice internally by facilitating authentic dialogues about power dynamics and social norms within their organizations. These dynamics and norms often become so ingrained in an organization’s functioning that they can easily escape the awareness of many in the organization. Therefore, dialogues that put the diversity of participants to fair and productive use require exceptional tolerance of uncomfortable conversations, of complex self-critique and of genuine change. On a more positive note, authentic dialogue promises to humanize an organization’s internal and external relations. Given that foundations in large part find themselves in the business of addressing the toughest of human problems, critical self-reflection on organizational norms in the context of social justice aligns seamlessly with the purpose of much of the work in the sector. An-Li Herring is a Research Analyst at CEP. How Do We Raise the Standard of Nonprofit Accountability? A few weeks ago, Allen Grossman came to the Center for Effective Philanthropy as part of CEP’s regular speaker series to discuss nonprofit effectiveness and performance driven philanthropy. He spoke about the need for more accountability in the foundation world and lamented the lack of progress and innovation based on the amount of dollars given. He called for a greater emphasis on performance assessment in the nonprofit sector on the whole. To drive this change, Allen advocated for market-like forces to encourage nonprofit leaders to adopt clear models for creating social impact and provide a solid framework for measuring and reporting performance. I found myself in agreement with many of his points. Of course it makes sense that foundations and nonprofits should assess their performance and provide data to show that their efforts are optimally effective. What stumped me, however, was the logistics of getting to that point. It’s hard for me to conceive a common language that could be used to meaningfully assess effectiveness across the entire spectrum of nonprofit work. And, I don’t think one-size-fits-all is the way to go here. Rather, I think it’s necessary for foundations to meet nonprofits where they are, and build up their capacity to assess and evaluate starting from that point, rather than setting the bar high and expecting nonprofits to magically hit it. It has to be onward and upward together. Early in his talk, Grossman mentioned a fact that struck me as being in direct conflict with this hope: 80 percent of foundation giving is for program or project support. (Among foundations who have subscribed to CEP’s Grantee Perception Report, this proportion is a bit lower – 64 percent.) Only 20 percent of giving goes to general operating support and building organizational capacity. We can’t expect nonprofits to improve in their assessment of their work and supply evidence of optimal performance without providing them with the resources necessary to do so. A larger proportion of foundation giving must be available for general operating support and organizational capacity building in order to increase nonprofits’ ability to assess their performance. Elizabeth Kelley is a Research Analyst at CEP. David Trueblood is Vice President – Communications and Programming at CEP.